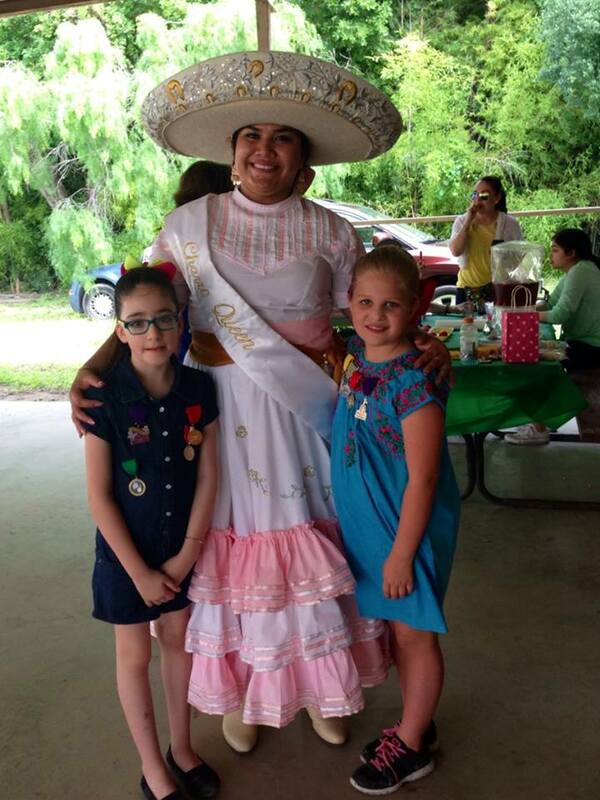 It’s that time again, Fiesta in San Antonio and you can start to feel the buzz around the city. 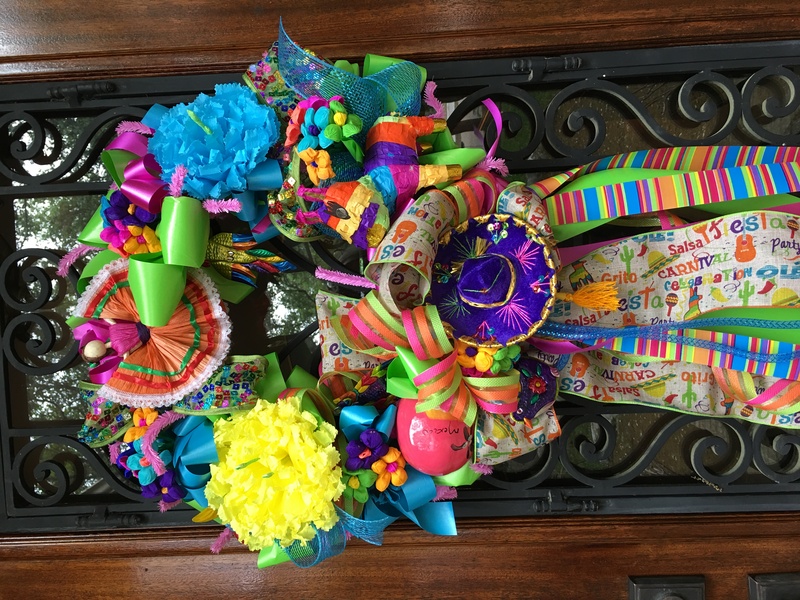 Wreaths come out on doorways for another year , events and parties are being planned, kids are anticipating the excitement of the parades…It is a spectacular time of year. The first fiesta parade was in 1891 and it started with one parade honoring those heroes of the Alamo and the Battle of San Jacinto. Today, it’s a major economic boost for San Antonio and a huge charitable fundraiser for many organizations in the city. This year’s commission has tagged it the “Party with a Purpose” and it couldn’t be more true. 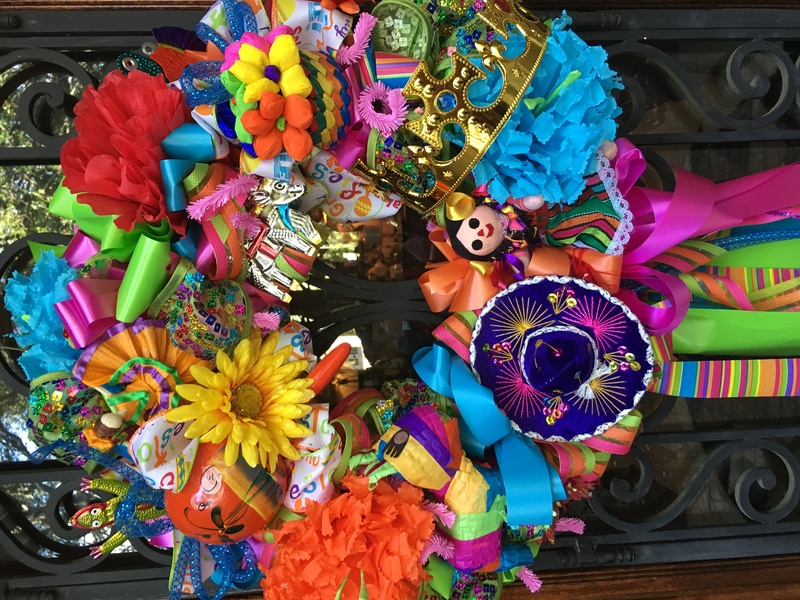 So, in order to get your Fiesta started I’ll share some wreath ideas and info. I hope they will help in getting you ready for Fiesta. 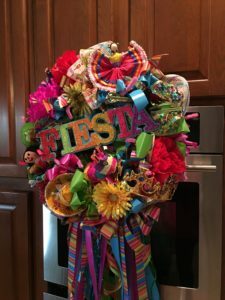 #1 The Fiesta Official guide. 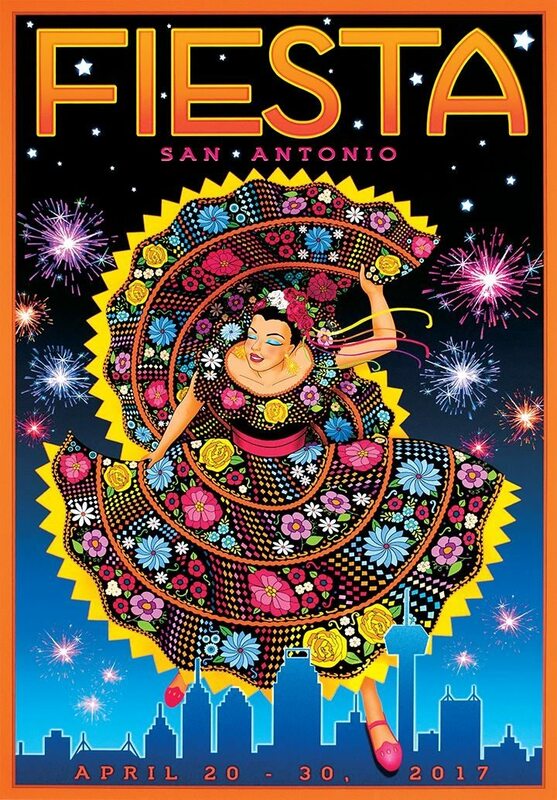 These can be purchased at the Fiesta Store or I’ve included a digital link here. I love my book and consider it a keepsake. I suggest making the trip to the Fiesta Store, getting your guide and while there purchase a t-shirt, poster and of course MEDALS! 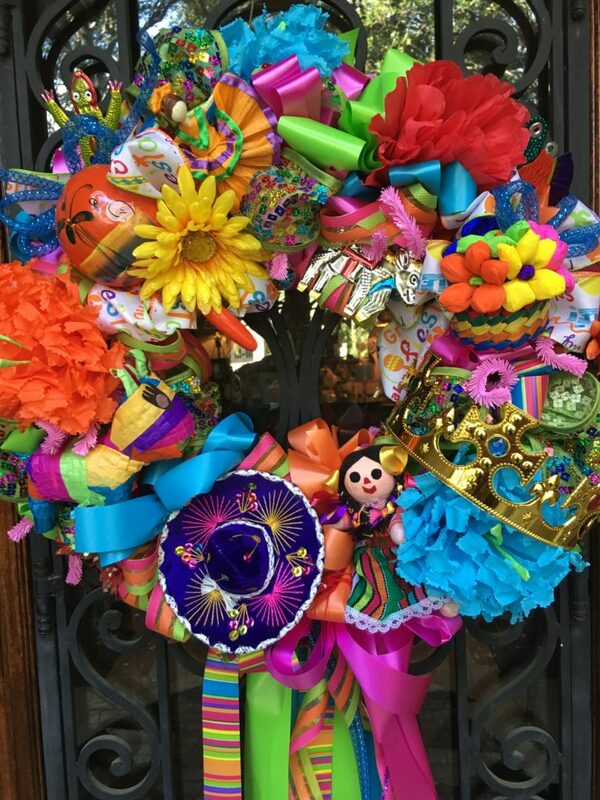 #2 Make a trip to Alamo Fiesta to get everything you’ll need to decorate. 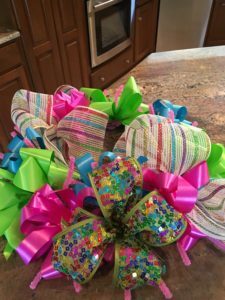 I’ve included pictures of wreaths to get you inspired! Start with a wire frame. 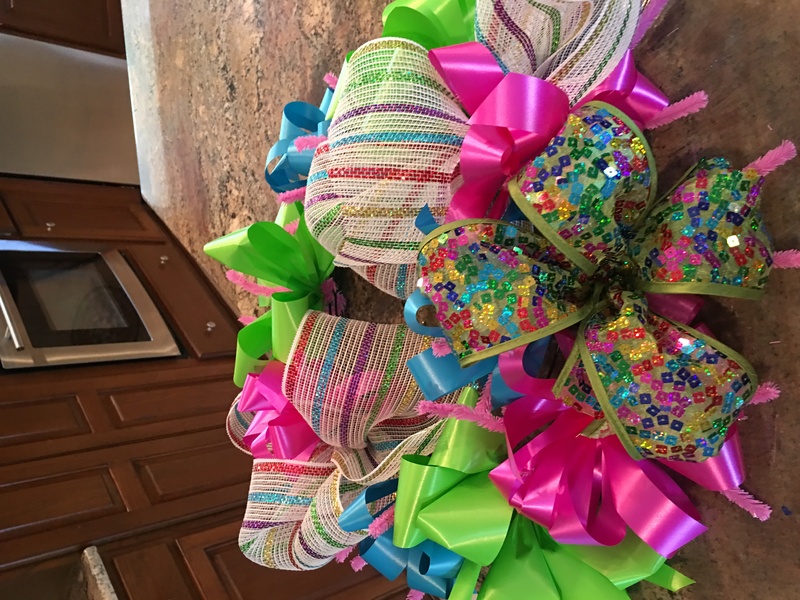 Add bows in different sizes, colors and textures. I purchase many of my supplies at Travis Wholesale. 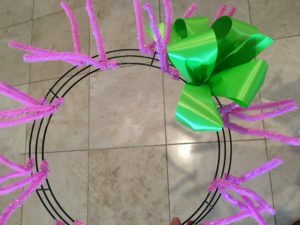 Picture with all the bows glued or wired onto wire frame. 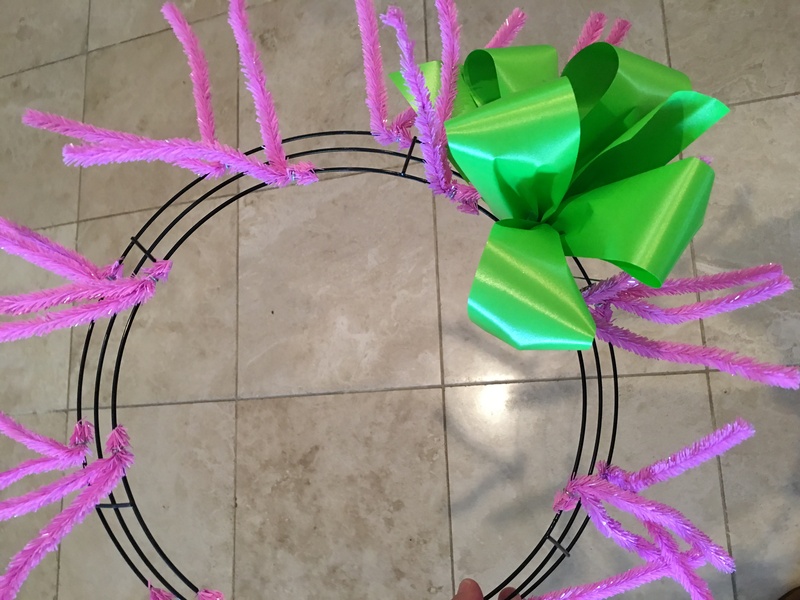 For smaller wreath make smaller bows. For larger use larger looped bows. 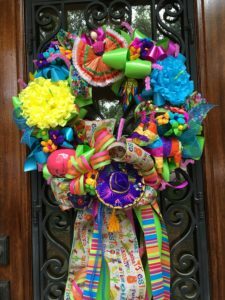 Add your larger paper flowers, then your bigger items like a donkey pinata, and sombrero. Keep hot gluing your items until it’s full. Finally add ribbons at the bottom and a hook for hanging! Get Inspired! 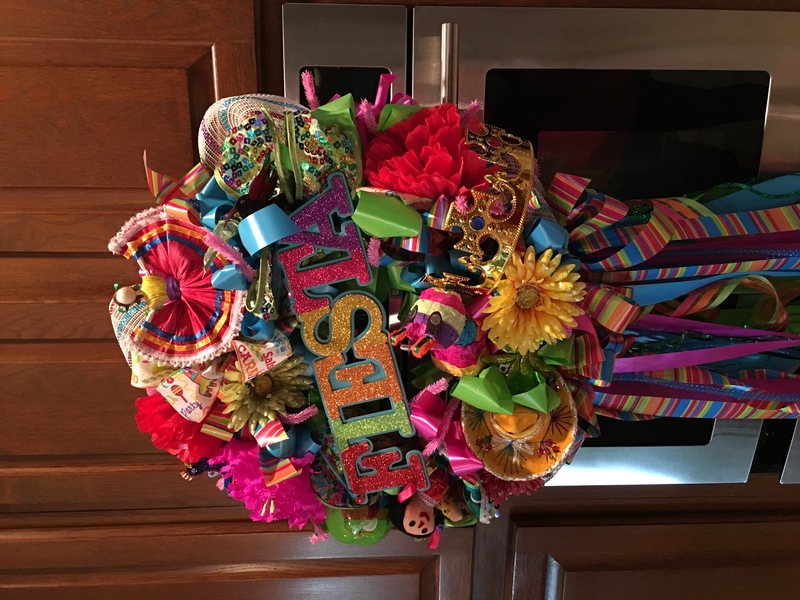 Add Fiesta sign to middle, basket with smaller paper flowers, a crown and gold leaves! #3 Start planning your events. Most of the parades sell tickets for seating and you’ll want to get those now. Other festivals, like King William and Charreada are the ones you’ll want to add to your calendar and may require an entry fee but not tickets.